Here is a comprehensive stylistic breakdown of country guitar techniques from the past 50 years. 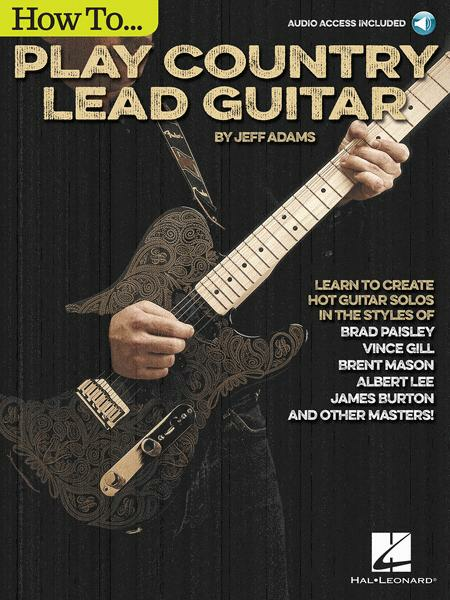 Drawing inspiration from the timelessly innovative licks of Merle Travis, Chet Atkins, Albert Lee, Vince Gill, Brent Mason and Brad Paisley, the near 90 musical examples within these pages will hone your left and right hands with technical string-bending and rolling licks while sharpening your knowledge of the thought process behind creating your own licks, and why and when to play them. Whether you're an intermediate-level player wanting to add chicken pickin' flavors to your jazz lines or a rocker interested in dressing up your licks with chromatic sophistication and hybrid picking techniques, turn off the distortion, switch to your brightest pickup, and bring on the twang!